“Welcome to our site! My name is Dr. Donna Kiesel. I practice general, cosmetic, and implant dentistry. I am passionate about dentistry, and have an absolute commitment to quality, continuing education, and superior customer service. Establishing long-term relationships with my patients is one of the most rewarding aspects of practicing dentistry. Dr. Kiesel graduated from the University of Texas at Austin in 1985 with a degree in biology. She attended dental school in Dallas, at Baylor College of Dentistry, and graduated in 1989. She has practiced in the Irving and Coppell area for more than 25 years. 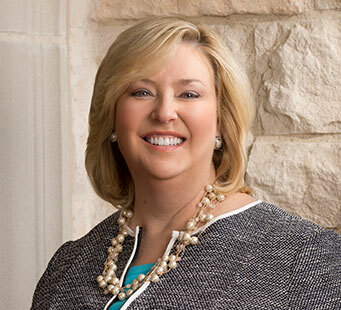 Her professional associations include the Dallas County Dental Society, Texas Dental Association, American Dental Association, and Academy of General Dentistry. Dr. Kiesel lives in Coppell with Pearl, her three-year-old Weimaraner. She is very active with many volunteer projects through her local church. In her spare time she loves traveling, reading, and spending time with family and friends. Dr. Kiesel and her staff give back to the community by volunteering their time and talents several days a year at The John Peter Smith Children’s Clinic. They also participate in the Hopeful Smiles program to restore happy, healthy smiles to women who have had various hardships, so they may build the confidence to develop successful life skills. Find out more on Google+.